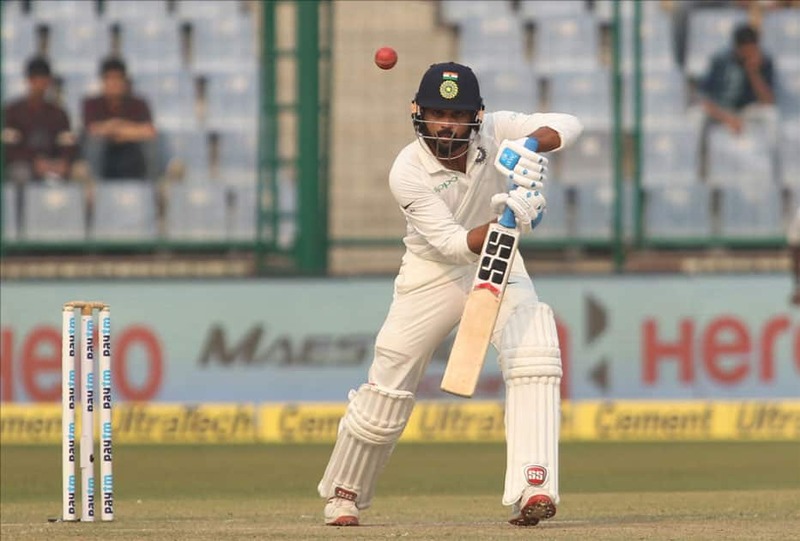 Indian batsman Shikhar Dhawan plays a shot during the third cricket test match against Sri Lanka at Feroz Shah Kotla, in New Delhi. 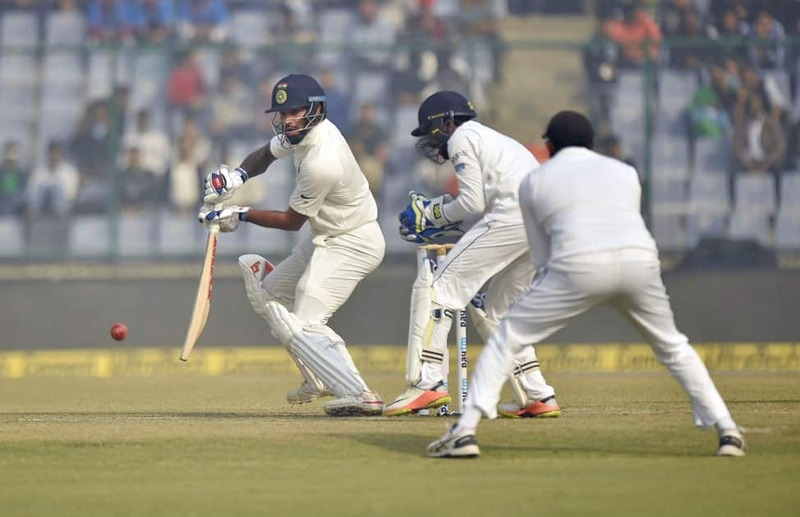 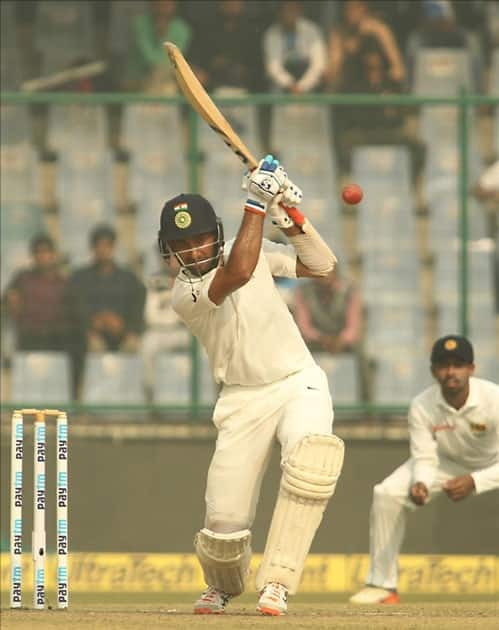 India's Cheteshwar Pujara in action on Day 1 of the third test match between India and Sri Lanka at Feroz Shah Kotla Stadium in New Delhi. 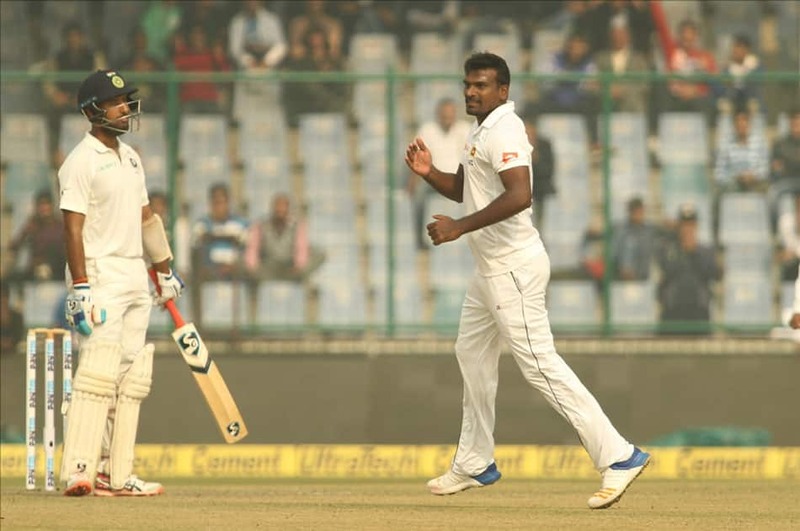 Sri Lanka's Lahiru Gamage celebrates fall of a wicket of India's Cheteshwar Pujara on Day 1 of the third test match between India and Sri Lanka at Feroz Shah Kotla Stadium in New Delhi. 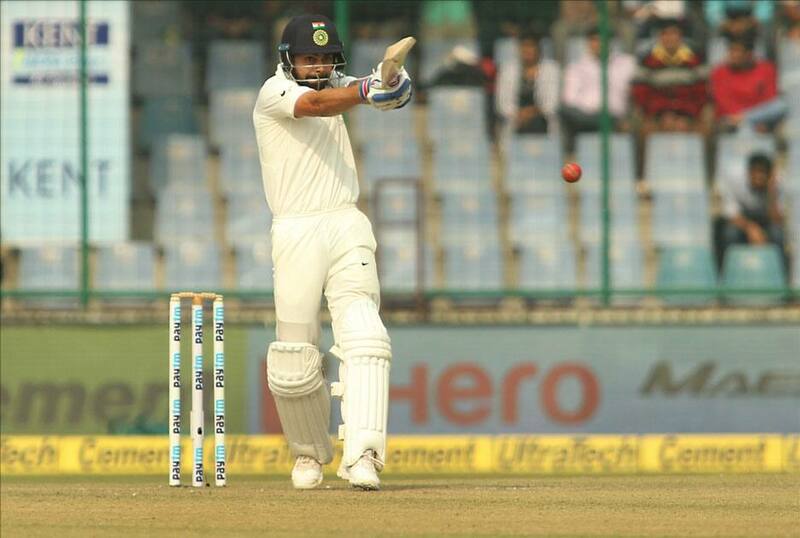 Indian skipper Virat Kohli in action on Day 1 of the third test match between India and Sri Lanka at Feroz Shah Kotla Stadium in New Delhi. 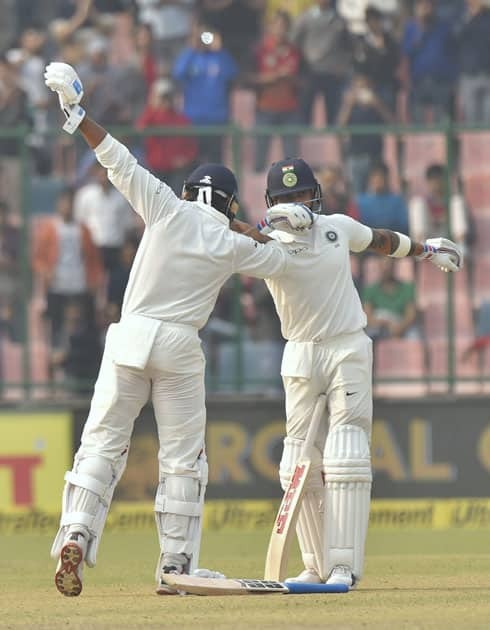 Indian cricketer Murali Vijay celebrates with skipper Virat Kohli after completing his century against Sri Lanka during the first day of the third cricket test match at Feroz Shah Kotla, in New Delhi. 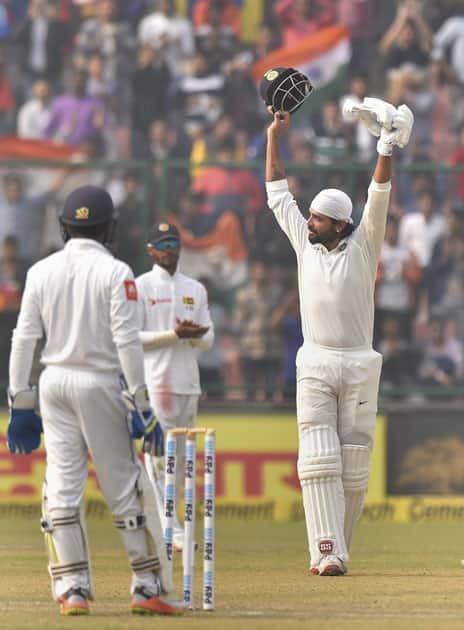 Indian cricketer Murali Vijay celebrates after completing his century against Sri Lanka during the first day of the third cricket test match at Feroz Shah Kotla, in New Delhi. 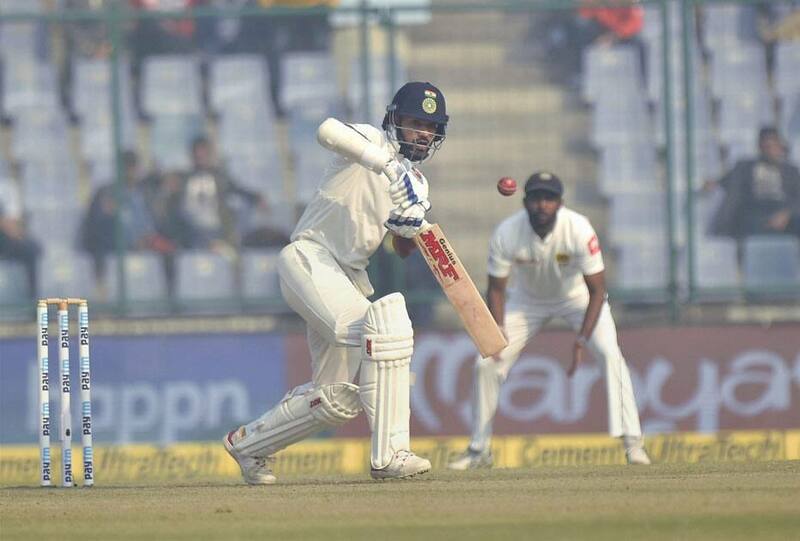 India's Murali Vijay in action on Day 1 of the third test match between India and Sri Lanka at Feroz Shah Kotla Stadium in New Delhi. 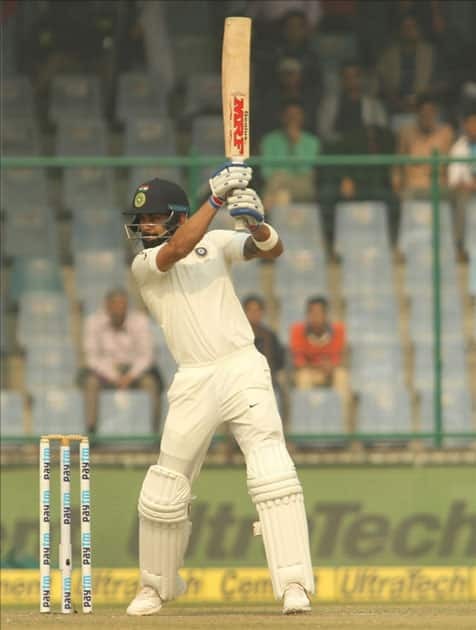 Indian skipper Virat Kohli during Day 1 of the third test match between India and Sri Lanka at Feroz Shah Kotla Stadium in New Delhi. 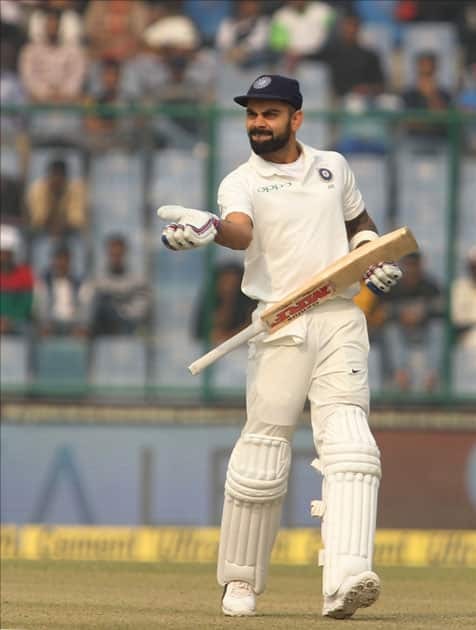 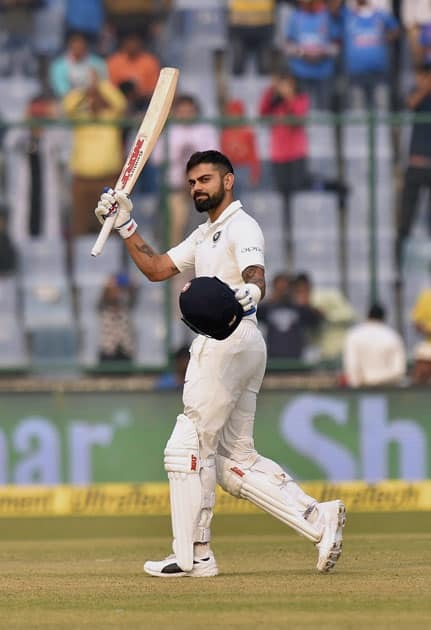 Indian skipper Virat Kohli raises his bat after scoring a century against Sri Lanka during the first day of third cricket test match at Feroz Shah Kotla, in New Delhi. 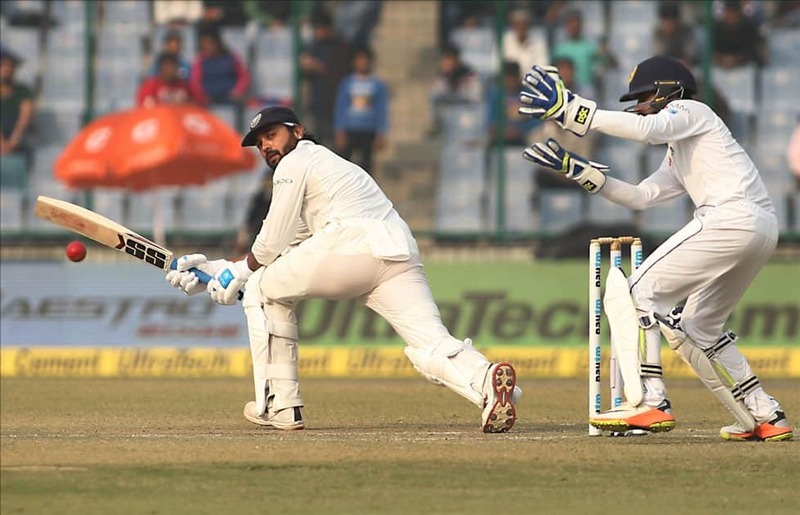 India's Murali Vijay in action during Day 1 of the third test match between India and Sri Lanka at Feroz Shah Kotla Stadium in New Delhi. 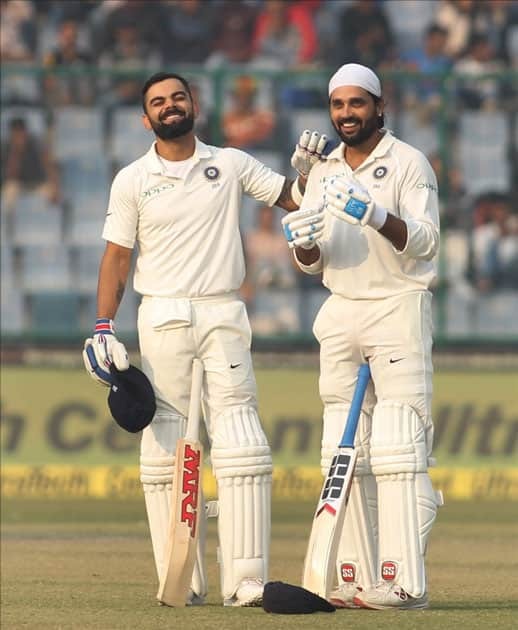 India's Murali Vijay and Virat Kohli during Day 1 of the third test match between India and Sri Lanka at Feroz Shah Kotla Stadium in New Delhi. 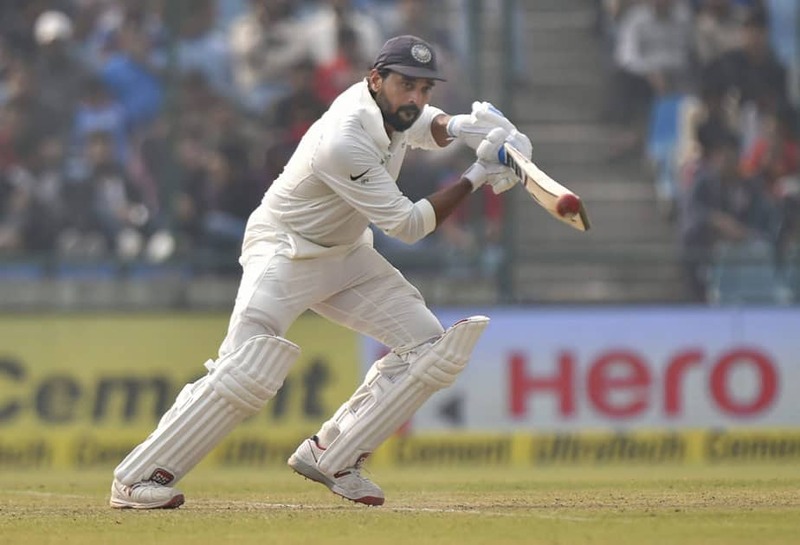 Murali Vijay plays a shot against Sri Lanka during the first day of the third cricket test match at Feroz Shah Kotla, in New Delhi. 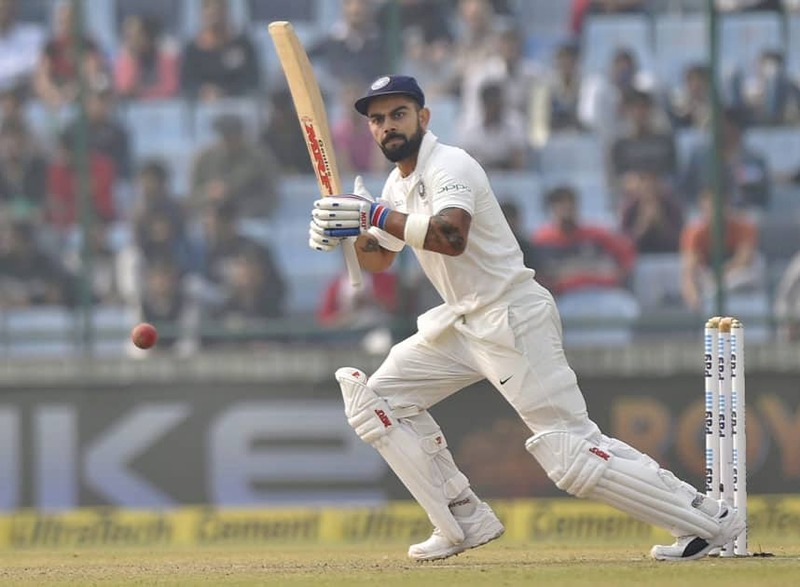 Virat Kohli plays a shot against Sri Lanka during the first day of the third cricket test match at Feroz Shah Kotla, in New Delhi. 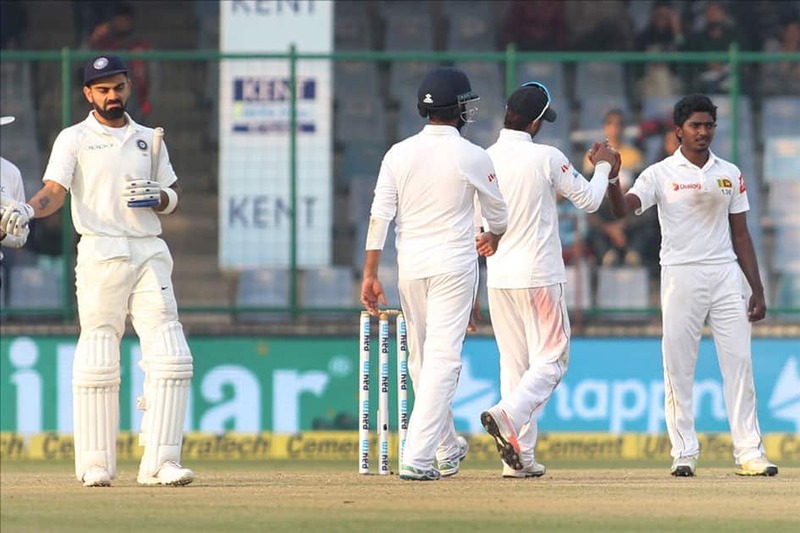 Sri Lanka's Lakshan Sandakan celebrates fall of a wicket of India's Murali Vijay with teammates on Day 1 of the third test match between India and Sri Lanka at Feroz Shah Kotla Stadium in New Delhi. 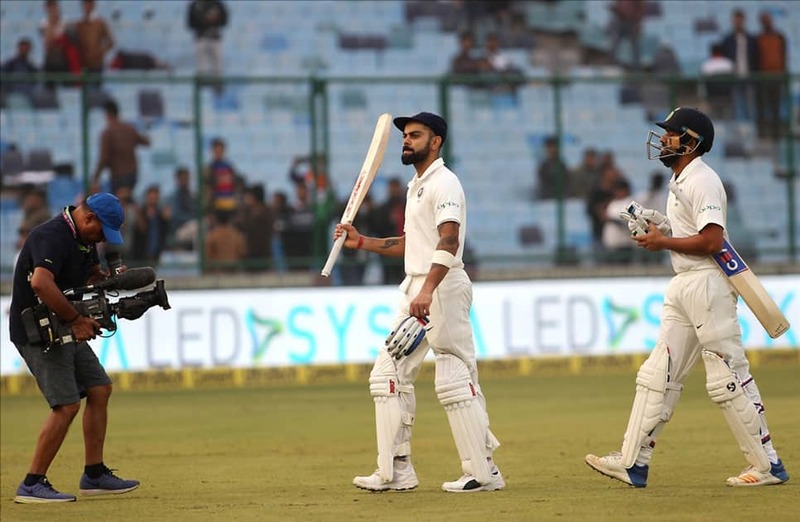 India's Virat Kohli and Rohit Sharma during Day 1 of the third test match between India and Sri Lanka at Feroz Shah Kotla Stadium in New Delhi. 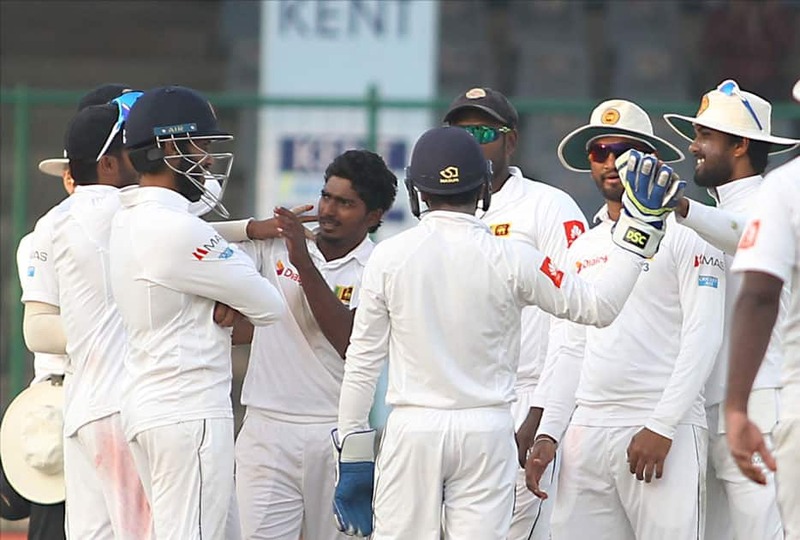 Sri Lanka's Lakshan Sandakan celebrates fall of a wicket of India's Ajinkya Rahane with teammates on Day 1 of the third test match between India and Sri Lanka at Feroz Shah Kotla Stadium in New Delhi.